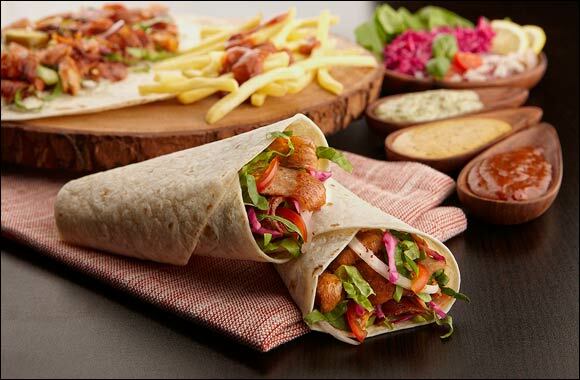 Dubai, United Arab Emirates: International franchiser German Doner Kebab has invested AED 60 million in the UAE and Gulf region. Currently with over 20 functional outlets, an additional 40 outlets are in the pipeline, which will be opening by Q3, 2015. Keeping speed with the competitive UAE market German Doner Kebab is launching a new Doner Burger at Gulfood 2015. The Doner Burger, made from quality fresh ingredients, will provide a worthy option for those looking for something new. Pushing for the title of largest Doner Kebab franchise brand, the company has a target of 100 branches across the GCC by the end of 2015. “We have an ever-growing team that has additions week on week. By the end of 2015, we are looking at opening 27 odd outlets across the Arabian Gulf region and Middle East. We are present in Oman and Kuwait. Then, we have major plans slated for the Kingdom of Saudi Arabia with over 10 branches by Q4, 2015,” added Abbaszadeh. UAE is one of the best performing brands globally, but, a growing demand for the company’s product has ramped up expansion plans. Happy to have a base in Dubai, the company is building a new factory in Dubai DWC, which will start production of their unique meat to cater the demands of the Middle East. Additionally, German Doner Kebab is all set to open shop at the Yas Mall in Q1 this year, which will be ideally located. German Doner Kebab is already present across twelve locations in the UAE, with new outlets set to open in Burjuman Centre, Deira (next to Deira City Centre), Dragon Mart, Dubai Mall, Dubai Silicon Oasis, Dubai Sports City, JBR-The Walk and Jumeirah road, Wasl Vita, Sheikh Zayed Road, Al Hamra Mall - Rak, Wahad Hili Mall - Al Ain, Ajman Eppco Station. The kebabs are made from quality ingredients that can only be found at Doner Kebab, and customers are sure to appreciate the distinctive taste, not to forget the secret sauces that are exclusively prepared.